Anthony Cumia was on Fox News' late-night show 'Red Eye' last night and gave an absolutely vile nonpology of his racist tweets, frequently bursting into laughter, invoking the "I have Black Friends" card, and stating his thoughts on his actions have not changed in the week since the egregious screed transpired. After retelling the story of what happened to him in a less racially-charged way, Cumia defending the tenor of the tweets given the circumstances. "If you read those — honestly people picked it apart. It wasn't racist," he insisted. "How can you say it's not racist?" co-host Andy Levy asked. "How can you say that?" Cumia said he was "talking about people that instantly go to violence," not necessarily all people of a certain race. When Gutfeld challenged him to explain his use of words like "animals" and "savages," Cumia said it was "misconception" that he was talking about all black people — just the violent ones. Gutfeld did say he found it "odd" that Cumia is allowed to talk like this on his show, but then SiriusXM fired him for saying similar things on social media. 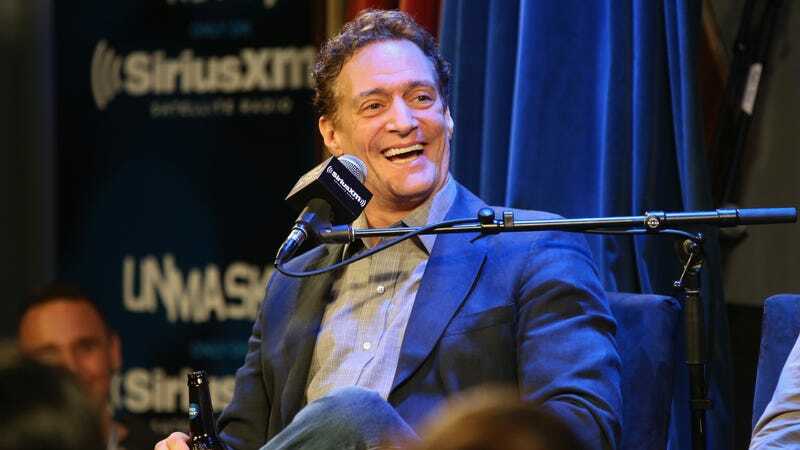 "To fire me for something on social media is kind of hypocritical, I think," Cumia said. "There wasn't even any outrage. No one approached SiriusXM and said 'Oh my God, you've got to fire him.' It was such a kneejerk reaction in this day and age." "So then we need people like Gawker that has to then point it out and hold it up to people who wouldn't have cared about it in the first place?" We all know that this language is the material that certain supporters of Cumia look for when deciding to post destructive comments here and on Twitter against those that have brought this news into the open. Many of us here at Backtalk have run into such attacks recently, at times, with threats of doxxing. On Gawker's actions he concluded saying "it's dangerous. We are on our own Big Brother." Because monitoring our own words is now an Orwellian concept. Listen to the video at your own expense; it's a cringeworthy and inhumane rant from both Cumia and the entire table.